When Love is in the Air, there is no place more Beautiful & Diverse than Kerala. The Beaches of Kerala offer Peace & Solitude, get an essence of the Pristine Kerala Beaches through these Holidays. The Kerala Honeymoon Collection, hold hands & explore God's own Country. Explore the Charming Backwaters of Kerala on-board a Deluxe Houseboat. A once-in-a-lifetime Holiday that takes you through Tea, Coffee & Spice Plantations, Wildlife Parks, Beaches, Hills & Backwaters of Kerala. A Perfect collection of Kerala Holidays for Families to create everlasting Bonds & Memories. Experience Kerala in Luxury by staying at these off-beat Resorts. Our Kerala Tour was Amazing! "We had a really great time. It was our Honeymoon Trip and it was simple AMAZING! Everything was handled professionally, from our stay to the transport & sightseeing. The operator was very prompt to our calls, and made sure that everything was smooth. All the arrangements were as promised." "The trip was really good. 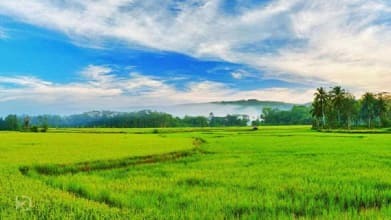 Kerala is a beautiful place with so many places to enjoy. The transportation and stay was upto the mark, we just wished that the Houseboat could be a bit better, and also the on-board meal was average. But otherwise the rest of the trip was great." "We had a great experience with Regular Trip. The travel part was slightly hectic, but the amazing views of Kerala took our breath away. The hotels were slightly away from the main city but the arrangements were decent. " Our Kerala Tour was memorable! "It was one of the most memorable trips of our lives. The Holiday Triangle Team made sure that everything was properly arranged, and the hotel provided to us was also very nice. The driver was amazing, and was a really sweet fellow, who was always available at our beck-and-call. He never said no to any of our requests, just that he didn't seem too aware about the local places. But overall the trip was spectacular. I will look forward to booking more trips via tripshelf.com." 10 Beach Destinations in India to Rock your World! Carry a light jacket, inners, t-shirts, shorts, sports lowers. Also make sure to carry other essentials like sunscreen, sunglasses, a small torch, comfortable shoes with a good grip. What is the best way to travel to Kerala? The best way to reach Kerala would be to either fly in to Kochi or Trivandrum, or travel by train to Ernakulam or Trivandrum Railway station. Another option for people living down south is to travel by road. What is the best fish to try in Kerala? The best fish to try in Kerala is Karimeen or the Pearl Spot Fish, that is caught in the Kerala backwaters. It used for many famous Kerala dishes like Karimeen Pollichathu (fish cooked in banana leaf), etc. 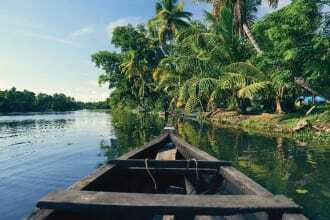 What makes Kerala so fascinating? The diversity of Kerala allows one to have unique experiences. 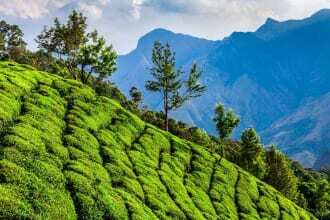 Tea & coffee estates on the hillsides of Munnar, distinct wildlife at the Periyar & Kumarakom, backwater experience in a houseboat at Alleppey or Kumarakom, and immaculate beaches of Kovalam, Kappad & Kannur, make Kerala truely unique. Can you drink alcohol in Kerala? Yes. After the ban, the Kerala Government eased the alcohol norms earlier this year. One can find alcohol in star hotels, and also liquor shops run by the Kerela State Government. What is the local language in Kerala? Will they understand English / Hindi? The local language of Kerala is Malyalam, but almost everyone understands and speaks in English as well, since Kerala sees a huge influx of both Domestic & International travelers every year. What is the popular food in Kerala to try? Kerala is known for its fresh water & ocean sea food, along with local South Indian delicacies catering to both Vegetarians & Non-Vegetarians. The most famous dishes however would be Appam & Stew, Puttu & Kadala curry, Idiyappam with Egg Curry, Spicy Chicken Fry (Nadan Kozhi Varuthathu), Kerala Prawn Fry, Mussel Stir Fry (Kallumakkaya Ularthiyath), and Kerala style Fish Molee/Moly, to name a few. They even have a local drink by the name of Todi made from fermented sap of palm trees, which is alcoholic in nature. The Winter Months from November - February are the best months to be in Kerala. One can also visit during the Monsoons and see the green side of Kerala & also opt for Ayurveda & Spa Treatment or Rejuvenation programs during this time. What massage or ayurvedic therapies do you recommend in Kerala? Pizhichil - A type of Body Massage that helps people who suffer from stiffness in the body, fractures, paralysis, paraplegia, monoplegia, and hemiplegia. Njavarkijhi - This massage helps in boosting the perspiration process in body, that is beneficial for the skin, and revitalizes the senses. Shirodhara - A type of head massage that stimulates the nerves, and helps in treating mental fatigue, increases focus & clarity. Ubtaan and Elakijhi - This Body Massage improves the skin's quality and nourishes the body. Abhyangam - A full body massage wherein presssure is applied on certain points, that in turns stimulates various energies, and helps in the release of various toxins from the body. Udvartana - This massage enhances the blood circulation in the body, and releases toxins from the body. Helps people with high cholestrol levels & obesity. Garshana - This massage is done using Raw Silk Gloves, without any oil. Helps in releasing the toxins from the body by stimulating the lymphatic system. The Kerala Backwaters is a network of Brackish Lagoons, Rivers, Lakes & Inlets, lying parallel to the Malabar Coast. The Kerala Houseboats also known as Kettuvallams, are frequented by travelers from all across the World. Initially used for transporting harvested rice, and then used as living quarters by the Royalty, and now the Houseboats offer an extraordinary experience to the travelers. 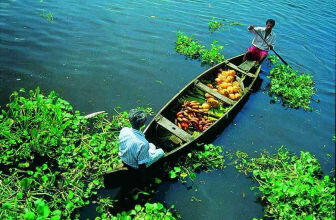 The best places to experience the backwaters are Alleppey, Kollam, Kumarakaom, Kuttanad, Kasaragod & Thiruvananthpuram. Periyar National Park is also known as the Periyar Tiger Reserve. This place is famous for spotting Tigers, Wild Elephants, Leopards, Lion tailed Macaques, Sambhars & Deers. Since it is located in Hilly Western Ghats, the place offers immense natural beauty, and is surrounded by spice plantations. It roughly covers an area of 350 sq km, and got the status of a National Park in the year 1982. One can also explore the Reserve through a Boat ride on the Periyar River which is a unique experience in itself. 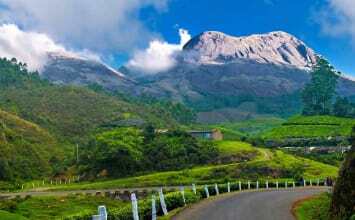 Located in Munnar, the Eravikulam National Park spans over an area of 97 Sq Km. The Park plays home to South India's Tallest Peak - Anamudi (2,700 m), and also to the endangered Nilgiri Tahr, an exotic species of Goat. Besides this, one can also spot Tigers, Leopards, Nilgiri Langur & Indian Bison. Not only this, another unique attribute is the presence of Neelakurinji Flowers, that bloom once in every 12 years. And guess what?? The next blooming is expected to take place in the year 2018! The Chinese Fishing Nets are another major attraction of Kerala, and have put Fort Kochi on the to-do list of Kerala travelers. These fishing nets were introduced by the Chinese Explorer Zheng He. These Nets are usually made up of Teak wood & Bamboo poles, and work on the principle of balance. It usally takes aroung 6 fishermen to use this structure. The nets also offer amazing opportunities for photography enthusiasts. The Kumarakom or Vambanad Bird Sanctuary is located on the banks of the Vambanad Lake, in the Kottayam district of Kerala. A preferred place amongst Bird Watchers, this Bird Sanctuary welcomes innumerable species of Birds, including Migratory Birds from as far off as Siberia. Some of the birds that can be easily spotted here are the Egret, Kingfisher, Paradise Fly Catcher, Night Heron, Siberian Crane, Cuckoo, Owl, Water Duck & Water Fowl. The most ideal time to visit this place is between November to February, when the Migratory Birds pay a visit here. For sighting the local birds, the best time is between June to August. One can also opt for a Boat ride or a Houseboat ride to catch a glimpse of these magnificent creatures. The Athirapilly Falls are located in the Thrissur district of Kerala, at a distance of 75 Km from Kochi. Cascading from a height of 80m, these falls offer an amazing view, and are also known as the 'Niagra Falls of India'. The best time to visit these falls is from September to January. Monsoons magnify the size of this Waterfall, but it also makes the place risky to visit.